San Francisco Mayors from the world's greatest cities on Friday reaffirmed their commitment to delivering on the highest ambitions of the Paris Agreement. 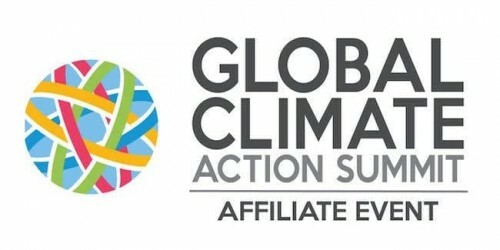 Through a series of bold pledges ranging from transport to buildings to waste and to climate action plans, unveiled at the Global Climate Action Summit (GCAS) in San Francisco, cities are committing to keep global temperature rise to below 1.5 degrees Celsius. Twelve cities -- Birmingham, Greater Manchester, Honolulu, Medellin, Oslo, Oxford, Rotterdam, Santa Monica, Seoul, Tokyo, Warsaw and West Hollywood -- representing more than 140 million urban citizens have committed to deliver a zero emission mobility future. By signing the C40 Green and Healthy Streets Declaration, the pioneering city leaders pledged to procure only zero-emission buses from 2025 and ensure that a major area of their city is zero emission by 2030. The policies are designed to fight air pollution, improve the quality of life for all citizens, and help tackle the global threat of climate change. These cities join 14 others already committed to Green and Healthy Streets: Paris, London, Los Angeles, Copenhagen, Barcelona, Quito, Vancouver, Cape Town, Seattle, Mexico City, Auckland, Milan, Rome and Heidelberg. More than 80,000 buses run on the streets of these 26 cities, representing a major shift towards zero emission vehicles in the world's great cities. Analysis of the air quality in these cities reveals that the policies announced could prevent 11,000 premature deaths per year. The 'One Planet Charter' is a joint initiative driven by C40, the Global Covenant of Mayors for Climate and Energy and ICLEI, highlighting more than 1,700 commitments made by cities around the world to build sustainable and resilient infrastructure, products and services, while also recognizing the importance of working closely with national governments and business sectors to mobilise global climate action. Twenty-five cities and regions committed to significantly cut the amount of waste they generate, accelerating them on the path towards zero waste. By signing C40's Advancing Towards Zero Waste Declaration, these cities and regions have pledged to cut the amount of waste generated by each citizen 15 per cent by 2030, reduce the amount of waste sent to landfills and incineration by 50 per cent and increase the diversion rate to 70 per cent by 2030. Together, these 25 cities and regions, representing 150 million citizens, will reduce the amount of waste disposed by at least 132 million tonnes by 2030. Thirty-eight cities, regions and businesses have committed to significantly cut greenhouse gas emissions in new and existing buildings as part of the World Green Building Council's Net Zero Carbon Building Commitment. Cities signing the Net Zero Carbon Buildings Declaration have pledged to ensure all buildings in the cities, old or new, will meet net-zero carbon standards by 2050. Reducing annual buildings emissions to zero in just the 19 C40 signatory cities is equivalent to removing 190 megatonnes of CO2e, or the emissions of 47 coal-fired power stations. Recognising that climate change and issues of poverty and social inequality are inextricably linked mayors of 30 cities, representing close to 100 million citizens, have pledged to deliver inclusive climate action that benefits all citizens equitably.